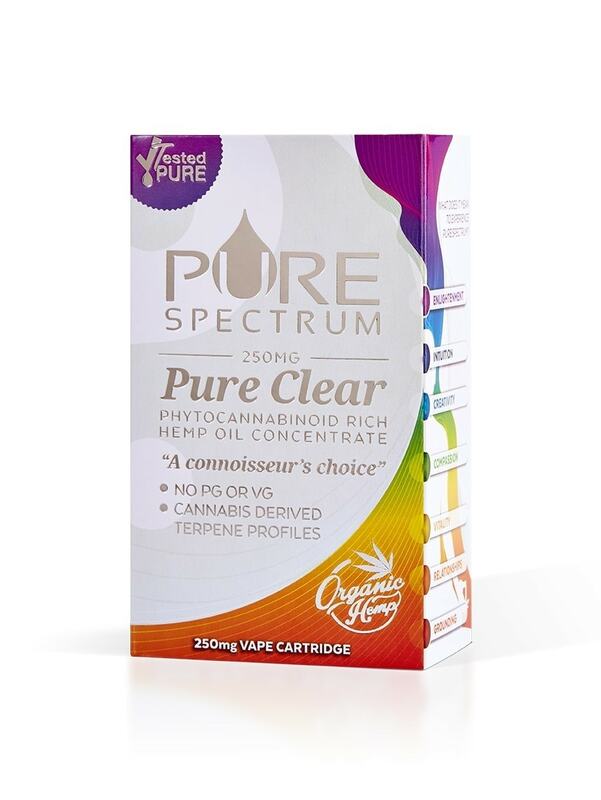 Pure Spectrum has designed their vape cartridges as a tempered glass product that contains larger intake holes for less leaks and more potent oils. 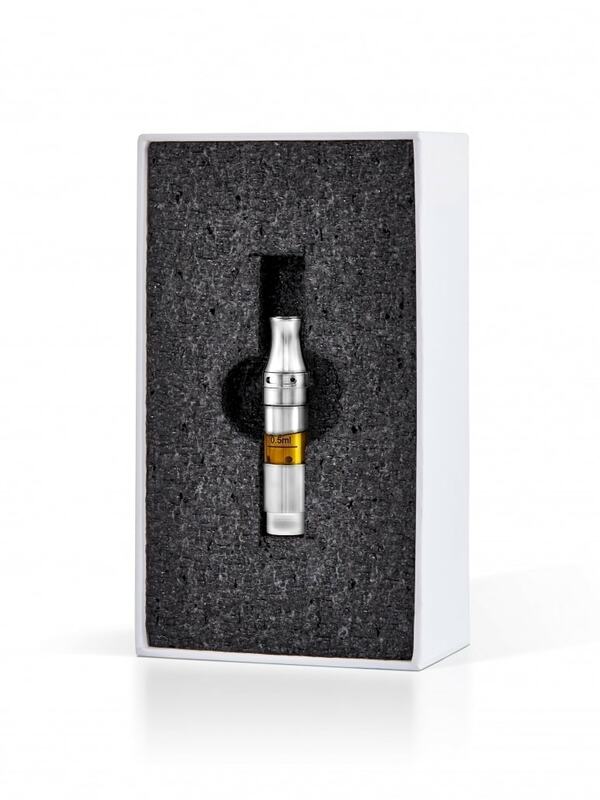 A thicker viscosity is able to pass through the cartridge, allowing for much more vape per hit. 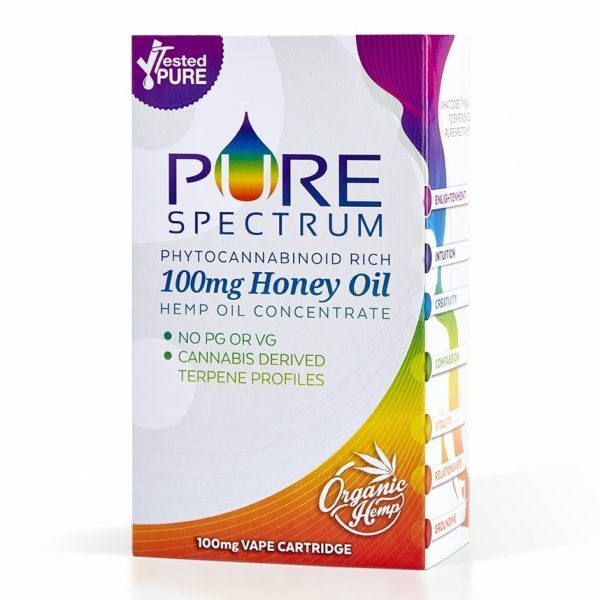 Each cartridge comes with 250mg of product (100mg of CBD), whole plant extract honey oil, bubble-gum flavoring, organic MCT oil, robust terpene profiles and a large panel of cannabinoids. 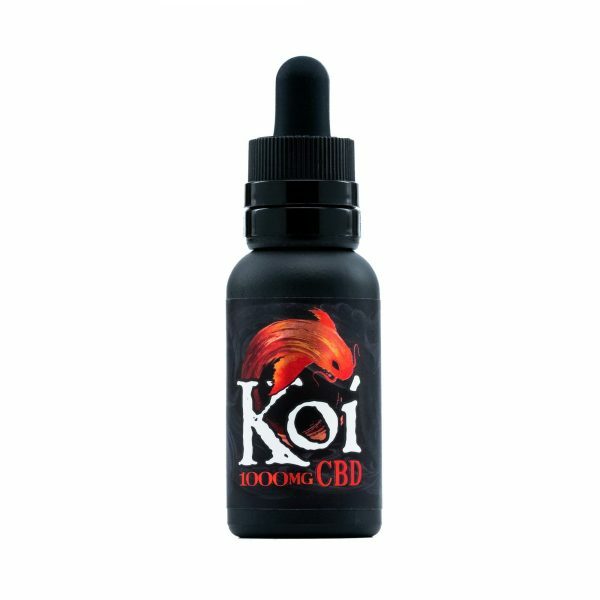 No propylene glycol or vegetable glycerin is included.